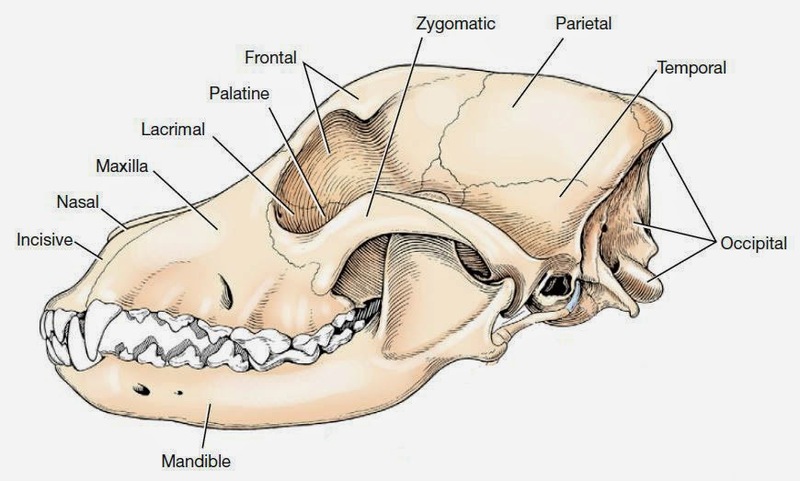 I have been wondering about how humans require facial muscles in order to be able to produce speech, mammals also have these facial muscles that could allow them to speak if they had the brain power to produce speech. Reptiles however lack any facial muscles and therefore cannot move their face in any way, but I am wondering, what would the physical skull alterations be in order to have a carnivorous reptile with facial muscles sufficient enough that it could speak, and what would the reptile look like with facial muscles? How well would it be able to speak at this point? What is required for a reptile to be able to have facial muscles? If your goal is to have a speaking reptile, you need to know what is required to speak. Since reptiles are so numerous and diverse, I'll use a monitor lizard in this example. First of all you need some vibrating membrane to produce a sound. In humans and mammals the vocal cords situated in the larynx fullfill this function. The larynxes of reptiles seems to differ quite considerably between species and while some can broduce chirping or growling sounds, others can only hiss. There must be muscles in the larynx that can put the vocal cords under tension to make them vibrate when air passes through. From the larynx the sound travels into the oral and nasal cavity. The form, size and composition of these cavities influences the base tone of the voice. Have a look at this artificial mouth built by japanese scientists. If a human opens their mouth and produces a tone, it sounds like an "ah". Due to the elongated skull and wide mouth, a lizards base tone might sound more like an "eh". Here's a complete list of every muscle that is somehow involved in producing speech. 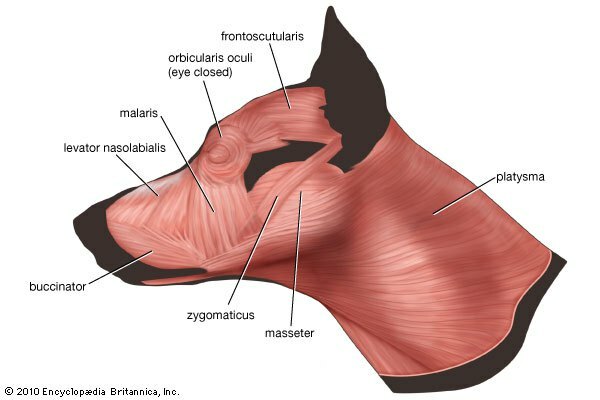 All muscles for mandibular movement should be present in a lizard, so let's concentrate on the muscles in the anterior face. 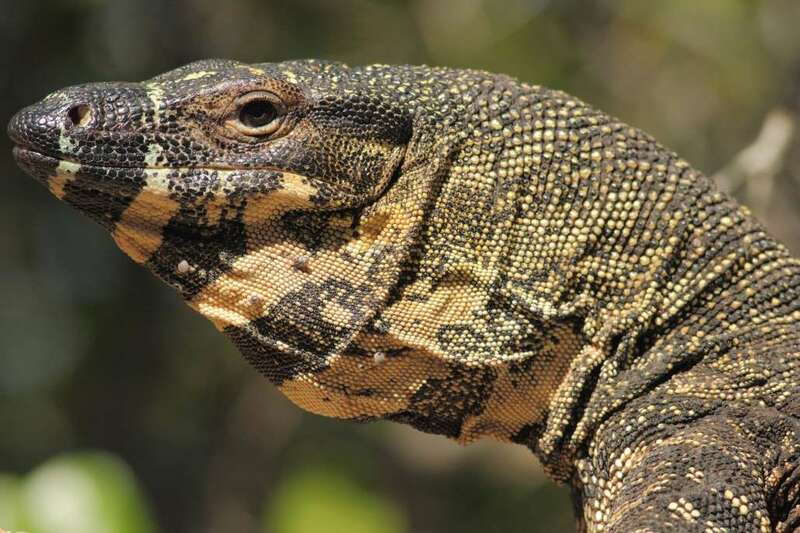 Monitor lizards have very thin lips with near to no muscles. The biggest muscles that move a humans lips are: Orbicularis Oris, levator labii superioris, depressor labii inferioris, buccinator and levator anguli oris. These would make the lips and cheeks of a lizard more fleshy and voluminous. A special role plays the Orbicularis Oris. It's a ring muscle from the center of the upper lip to the center of the lower lip that pulls the corners of our mouth towards each other when we speak an "Oh". The elongated skulls of lizards make that quite a long route, so they either need very stretchy skin or shorter skulls to be properly able to speak. Many muscles have to be attached to bone and the bone has to be in the right position for them to function properly. This would influence the skull of a monitor lizard quite strongly. To produce the U and I sounds, the mentalis and depressor anguli oris need to shape the lips. These muscles have to be attached to a chin, which lizards lack. 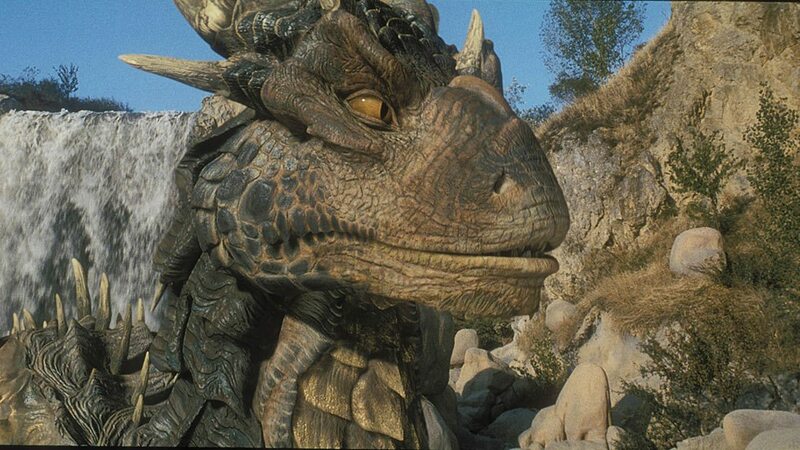 Their lower jaw would have to be much thicker, especially at the tip, and their skulls would loose their wedge-shape. Pronouncing an F might be hard for lizards due to their big tooth gaps. You can come close to an F by pressing air through a small gap between your lips (almost like whistling), but it sounds distinctly different. I'm honestly not sure about how many differently oriented muscle fibers a lizards tongue really has, but with a forked tongue they probably won't be comprehensible. To produce K and T sounds, their tongues need to block the air completely, so the slender tongues of lizards are not suitable. They need a thick, fleshy tongue like that of aligators. He has a short snout, fleshy lips and cheeks and a flat, fleshy tongue. See him speaking in this video (Fast forward to 2:30). Not the answer you're looking for? Browse other questions tagged science-based biology fauna or ask your own question.